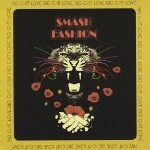 Share the post "Album review: SMASH FASHION – Big Cat Love"
Now this loyal reader is a real treat for the ears! Put it this way, if you like any of the following bands – the Stones, the Faces, the Sweet, Cheap Trick and Jellyfish – you will love this album. The band features a few names in former Rock City Angels’ Lloyd Stewart Casson on guitar and they did feature former Quireboy Nigel Mogg on bass until last year. The real star though is vocalist/guitarist Roger Deering, who has the knack of penning memorable tunes. There is a lot to enjoy on there from the Stones/Faces vibe on opener ‘Wicked Ways’ through to the 70’s glam stomp of ‘Super Glam’, imagine Roy Wood and T.Rex jamming with Elvis on vocals! Those after more 70’s glam will love ‘Stay Of My La La’ which recalls the Sweet in their hard rock pomp. ‘Blame It On The Brandy’ will get even the most reluctant feet tapping, a Cheap Trick approved chorus arrangement make for another top notch song. Plenty of great lyrical couplets too – `Feel like a black cat in a coal mine’ – on ‘Stairs To Nowhere’ and ‘Time to screw my head back on’ on ‘Blame It On The Brandy’. I love it when you have no expectations of an album from a band you’ve not heard before and then they proceed to blow your musical mojo to pieces. Smash Fashion deserve to be huge! This entry was posted in ALBUM REVIEWS, ALBUM REVIEWS (Mobile), All Posts and tagged album review, Big Cat Love, Cheap Trick, debut album, glam rock, Smash Fashion, The Faces, the Stones, The Sweet. Bookmark the permalink.